The physicist leans in toward the microphone. “That two electrons are indistinguishable,” he says. The smoking gun for indistinguishability, and a direct result of the 1-in-3 statistics, is interference. Interference betrays the secret life of the electron, explains Wilczek. On observation, we will invariably find the electron to be a corpuscular particle, but when we are not looking at it, the electron bears the properties of a wave. When two waves overlap, they interfere — adding and amplifying in the places where their phases align — peaks with peaks, troughs with troughs — and canceling and obliterating where they find themselves out of sync. 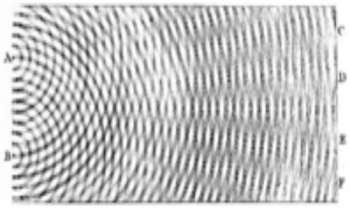 These interfering waves are not physical waves undulating through a material medium, but mathematical waves called wavefunctions. Where physical waves carry energy in their amplitudes, wavefunctions carry probability. So although we never observe these waves directly, the result of their interference is easily seen in how it affects probability and the statistical outcomes of experiment. All we need to do is count. The crucial point is that only truly identical, indistinguishable things interfere. The moment we find a way to distinguish between them — be they particles, paths, or processes — the interference vanishes, and the hidden wave suddenly appears in its particle guise. If two particles show interference, we can know with absolute certainty that they are identical. Sure enough, experiment after experiment has proven it beyond a doubt: electrons interfere. Identical they are — not for stupidity or poor eyesight but because they are deeply, profoundly, inherently indistinguishable, every last one. This is no minor technicality. It is the core difference between the bizarre world of the quantum and the ordinary world of our experience. 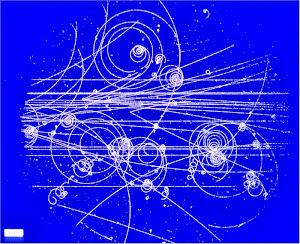 The indistinguishability of the electron is “what makes chemistry possible,” says Wilczek. “It’s what allows for the reproducible behavior of matter.” If electrons were distinguishable, varying continuously by minute differences, all would be chaos. It is their discrete, definite, digital nature that renders them error-tolerant in an erroneous world.